Emergency services deal with the aftermath of the crash in Glasgow. First Minister Nicola Sturgeon has extended her sympathies to the families affected by the tragedy in Glasgow. 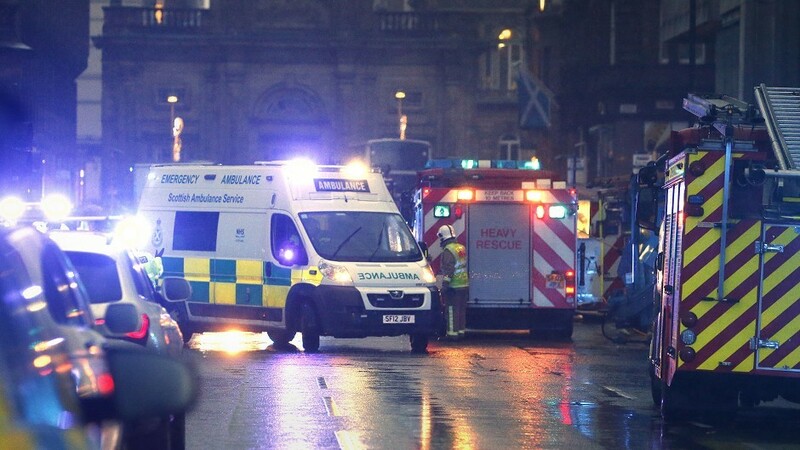 Ms Sturgeon also paid tribute to the emergency services and said they had responded in a “swift and professional” manner as the true extent of the crash became clear. She said: “My thoughts are with everyone involved in this tragic incident, and especially with the friends and families of the six people who lost their lives in what is another sad day for Glasgow and Scotland. “I am currently at the Police Scotland control room in Govan with Justice Secretary Michael Matheson, where I am being fully briefed with the latest information. She urged anyone who was in Glasgow city centre to contact their friends and family to let them know they were safe. Police have also set up a helpline for anyone who believes a friend or relative may have been involved. The number is 01786 289070.